2012 was a top year for Danny Howard. He secured his own show on BBC Radio 1 as host of the new look Dance Anthems, which has seen his popularity rocket worldwide. Alongside this, he's notched up several big releases, played sellout clubs, festivals and appeared on many mainstream media outlets. 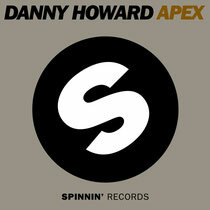 Danny starts 2013 as he means to go on and with the full support of Spinnin Records, he now releases ‘Apex’, a slab of big room house that should have dance-floors pounding all over the globe! Support for the track so far comes from Danny's heavyweight peers including Steve Aoki, Sander van Doorn, Gareth Emery, fellow Radio 1 DJ Jordan Suckley and many more! Check it out below, it’s out January 14.